The basic concept of the series is: 3 super powered kindergarden girls save the world from evil. The combination of the design that is inspired by classic Hanna-Barbera cartoons of the 60ies, a special sort of humour not suitable (and yet not understandable) by kids and a mid-90ies Drum‘n'Bass Soundtrack this series still makes this show to one of my alltime fav cartoon shows. Looking back to last week when I wrote about Astro Boy, the Powerpuff Girls even share some similarities with him. Astro Boy also looks rather innocent but is a born fighting machine. The Powerpuff Girls were created by their „father“ Professor Utonium who actually wanted to create the perfect little girl. So he put together a lot of stuff, sugar, toys and „a table spoon of everything nice“. 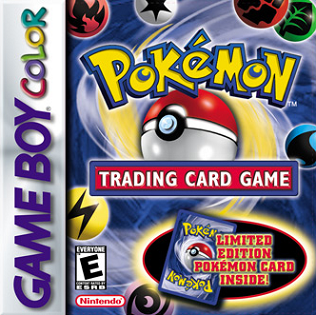 Accidently he added some of Chemical X, an element that appears very often throughout the whole series. 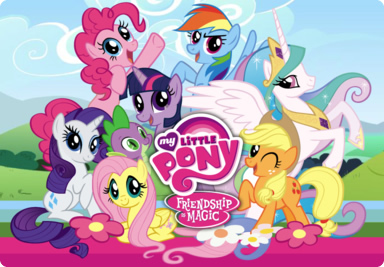 The series contains a lot of running gags. So every episode is narrated by a narrator and he always starts with „The City of Townsville… IS UNDER ATTACK!!! !“ Every episode ends with a big heart and some stars falling down and the narrator goes like „and again the day was saved, thanks to the Powerpuff Girls“. Then the Powerpuff Girls appear in the middle of the screen in their fighting pose. Then the narrator makes a short comment on something that happened in this episode. Even the characters of the three Powerpuff Girls are the source for gags very often. Blosson (the red haired) is the leader of the group. She is really focused and thinks before she does anything. Buttercup (the black haired) is really really agressive and tough. She acts before she thinks and prefers the hard and rough way, when Blossom would use a more strategic one. The last one is Bubbles. In her mind she is how a kindergarden girl should be. She likes unicorns, kitties, flowers, coloring and the whole shebang that little girls are into. She doesn‘t really like to fight, but can fight if she is annoyed or motivated enough. There are so many great episodes that play around the three different characters. The girls can fly, are superstrong, can shoot rays out of their eyes. Every girl has its own special power. 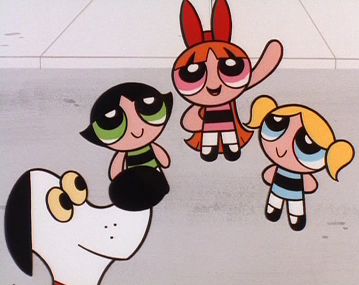 For example Blossom has ice breathe and Bubbles can talk to squirrels. Log Pony (watch the show, then you‘ll get it!). 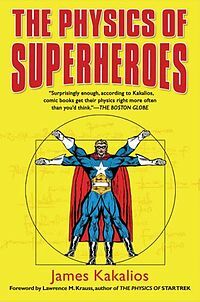 The whole show plays with at least two cartoon/TV clishees: The first would be the average superhero-clishee with the typical supervillians. There are gangsters, agressive criminal kids, the hillybilly redneck and whatnot. But the archenemy still rocks till today: Mojo Jojo. A chimp, whose only goal it is to destroy the Powerpuff Girls. In the first season we learn that Mojo Jojo was the helping hand of the Professor and that it was his fault that the Chemical X was added during the experiment. He also was effected by Chemical X and changes a lot. His brain grew and so did his intelligence. His brain is now exposed and so he wears a giant white helmet. Together with his green face and his cape, Mojo Jojo perhaps would make the perfect supervillian. But in fact his main role in this series is to lose against the Powerpuffs. But not all supervillains in this show are ridiculous. There is „HIM“. It is never stated but through his look and the place where he lives he seems to be the devil „Him“self. HIM even frightens me, still. He talks in a very highpitched voiced, just like the devil who wants to influence people. He seems to be homosexual, at least he wears parts of a ballet-outfit. I always interpreted this as a „pro-homophobia“ statement. Saying the devil is homosexual in my eyes doesn‘t mean anything like the other way round: that homosexual people are develish. And actually this is an awful thought! I don‘t know what the makers of the show wanted to say with his outfit. Maybe it they just wanted to let him look at least a bit ridiculous. But is whole character, his voice and his smooth moves talk a quite clear language. In his spare time he even does aerobic… I don‘t wanna say that every man doing aerobic is gay… but… you know what I wanna say It’s OK, to be gay, and I‘m not quite sure if the makers of the Powerpuff Girls were so OK with that! The other clishee is something I already briefly mentioned: classic Japanese monster and mecha movies. Astro Boy would be the best example for that. But the last episode pf the first season „Uh Oh… Dynamo“ is more like an episode of Ultra Man or even the Power Rangers. The Powerpuffs have to use a giant Powerpuff Robot to win against a fish balloon monster. The series was really successful around the world, uh… it still is. The last season was produced in 2005 but it still is running on German TV. In Japan the show was so successful that a Japanese studio made an anime version of it. „Demashita! Powerpuff Girls Z“ (has nothing to do with Dragonball Z“) differs in some important points. The girls are no longer sisters and Professor Utonium is not their father, Chemical X is Chemical Z now, the Professor has a son and the whole show takes place in Tokyo. 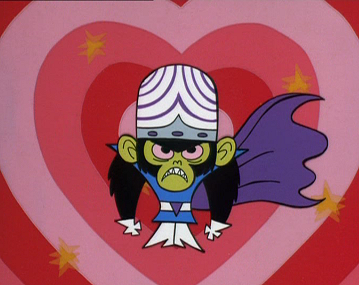 But there are also some elements we know from the original show: one of them, of course, is Mojo Jojo. He has the same origin-story as in the cartoon show. Follow the little talking DOG!! !